A complete permanent flooring solution to allow customized branding of specific areas in conjunction with other Brand Décor products to produce a dynamic space. GFloor allows unlimited imagination as to what graphics can be done with this space. Branded environment architects and designers should have their eyes on the floor. While walls and windows still carry the weight of most branded environment designs, now the floors can play a major role. And Brandecor can help you make the floors an integral part of your branded environment design. Talk to a Brandecor Consultant about stepping into something beautiful. 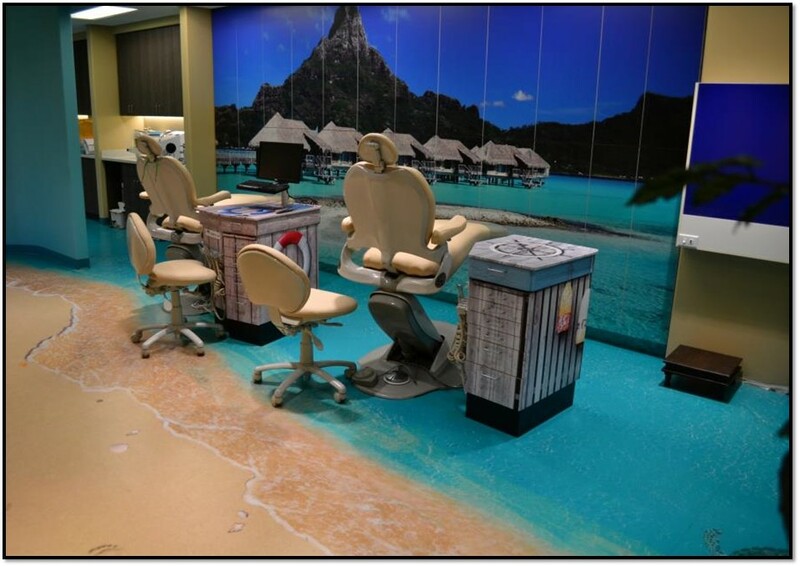 With a range of finished texture options to select from, we can help you brand any floor with professionally installed permanent flooring custom printed and sized to fit your needs. It means you’ll have the ability to create a completely cohesive environment using the entire space to carry your brand, create a mood, reinforce a message, provide directions, or communicate a mission. If you’re designing a retail, corporate or institutional branded environment and want to incorporate the floors, make contacting Brandecor your first step.